BRAVING cloudy skies and brief drizzle, a large crowd of music lovers and journalists gathered Oct. 20 to watch Sonoma State University President Rubin Armiñana break ground for the construction of the much-anticipated Donald and Maureen Green Music Center. Some might have taken the stormy weather as a bad omen, but Armiñana was looking on the sunny side: "In Greece, rain during a ceremony means success," he quipped as the shower forced him to cut short his opening speech. The rain dried up as telecom millionaire Donald Green (for whom the center is named) took the stage. 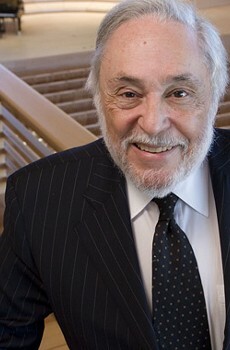 Green--who, along with his wife, Maureen, donated $10 million to the project in 1997--reminded his audience that fundraising for the $43 million center is far from complete. About $18 million is needed to complete the capital campaign. "We have a number of millions of dollars still to raise, so you will continue to be touched by this project," Green told the crowd. "But we're confident we will succeed." The ceremony also featured brief performances on the makeshift stage by the Santa Rosa Symphony Brass Quintet and the SSU Chamber Singers. 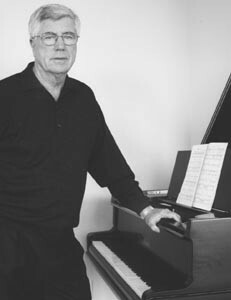 The rudimentary production values during the performances stood in stark contrast to the state-of-the-art concert hall that will soon occupy this 53-acre field at the intersection of Rohnert Park Expressway and Petaluma Hill Road. With construction now under way, the project--which promoters describe as a "cultural hub for the North Bay"--is expected to be completed in the fall of 2003. 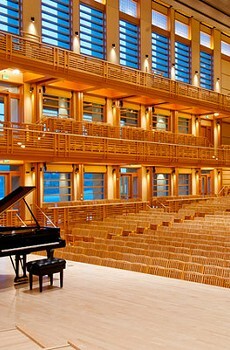 Explicitly modeled on the world-famous Tanglewood Music Center in Massachusetts, the Green Music Center is the result of a collaboration between SSU and the Santa Rosa Symphony, which will move its performances there from the Luther Burbank Center. There were plenty of jokes and smiles on and off stage during the ceremony, but the project does have a few quiet critics in the university community. It's tough to find anyone willing to say so publicly, but some faculty and students express fears that the music center--along with other large construction projects at SSU like the Schulz Information Center--could permanently transform the school's quiet atmosphere by delivering such problems as traffic woes. Indeed, the groundbreaking itself was marred by a serious traffic accident that occurred as an SSU student was waiting to turn off Rohnert Park Expressway into the construction site. Other members of the SSU community privately express a concern that the Green Music Center is too oriented toward classical music. They wonder if the concert hall--which is principally designed for acoustic acts--will be able to pay its operating costs without featuring pop acts to draw a larger crowd. But the Green Music Center will probably play host to a wide array of acts and events, ranging from jazz to lecture series to business conferences to dance acts, according to Floyd Ross, the music center's executive director. "We're not excluding anything at this point," Ross explains. The center will feature a 1,400-seat concert hall, a small recital hall for choral and chamber music, and an outdoor sound system to permit open-air concerts in a space that allows a 3,000-member audience direct sight of the stage.